A classroom at a Brisbane state school is successfully running off-grid after a solar panel and battery installation. The Bracken Ridge State High classroom powers itself with a rooftop solar installation backed by a Tesla Powerwall 2 battery. The solar panels generate electricity required by the classroom during the day. Then the battery stores surplus power for later use. Hivve Technology is running the Bracken Ridge trial. 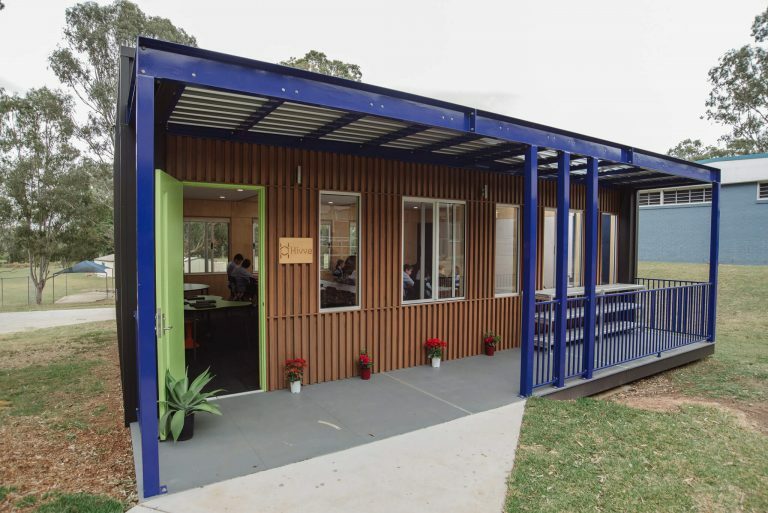 The Sydney-based developer of modular, sustainable school buildings received an ARENA grant of $370,000. It will also install an additional two Hivve classrooms at the school. Hivve’s executive director David Wrench told ABC News it cost less for the installation than it would to connect to the grid. The solar installation should also save the school around $3,000 in electricity bills. This means the project provides double-savings, in terms of lower upfront costs and eliminated power bills. The trial off-grid project demonstrates what a solar plus battery installation is capable of. ARENA CEO Darren Miller said it would “pave the way” for other similar school projects. This would help schools to reduce costs, emissions, and reliance and demand on the grid. The Hivve concept consists of a portable classroom with solar panels and battery capacity. It also comes with energy and air quality monitoring, data capture and communications, and energy-efficient lighting, heating and cooling. The off-grid Hivve is also being trialled at two schools in NSW. The schools in Sydney and in Wollongong have been trialling the off-grid Hivve concept since the beginning of 2018. These schools are the latest in a drive to give renewable energy a go. Last year a boarding college in Rockhampton installed a 95 kWh Tesla Powerpack to back up its existing solar array. The large-scale battery enables the school to draw on stored solar power in the evenings. The installation has also been providing around 60 per cent of the college’s electricity needs.